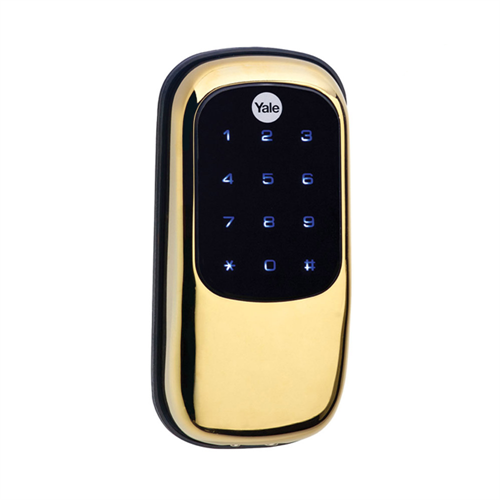 The YRD246-ZW2-605 Yale Z-Wave touchscreen deadbolt comes with a variety of customizable features. Its ease of operation and set up also makes it a great fit whether you are a beginner or full fledge enthusiast in Smart Home automation. Capable of 25 (250 when connected to Z-Wave network) individual 4-8 digit codes which can be added at any given time, its never been easier to assign temporary codes in the event of a contractor coming to do some work around your home, ensuring that your projects get underway even if you are unable to make it home. Its modern high tech look and feel adds aesthetically to any living space as well as increasing the value of your residence. Available in two other colour options in addition to Polished Brass; Satin Nickel & Oil Rubbed Bronze which can also be found on the Aartech website.